The EVID ¿¿ompact sound speaker system is a very compact full-range loudspeaker ideal for applications requiring high-quality sound. Its shape flexibility and size make it nearly invisible for use in background/ foreground music systems for restaurants, bars, patios, retail, and other applications. 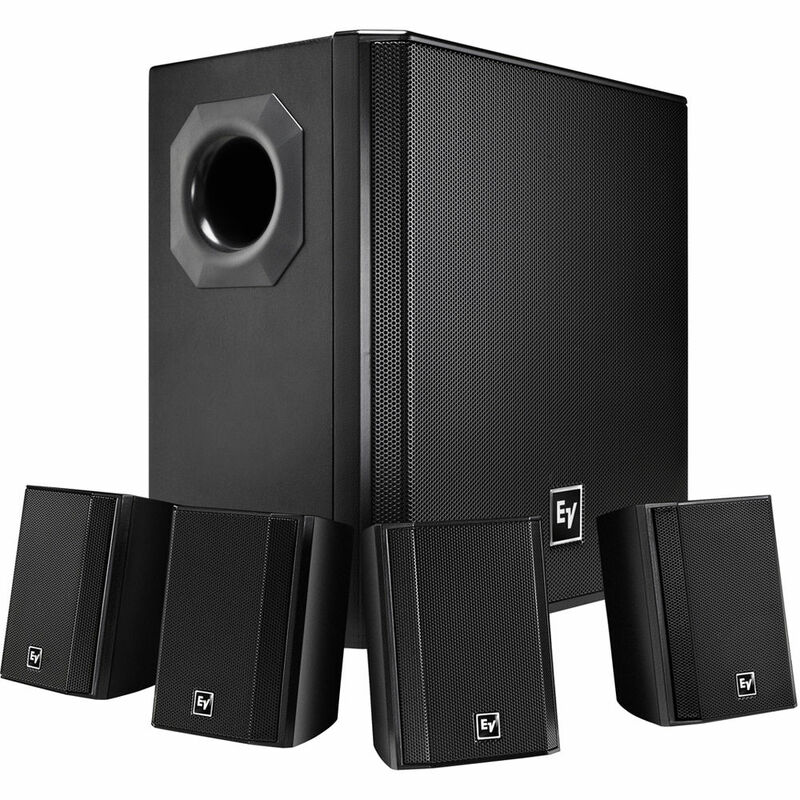 Its high power handling allows the system to be used in a wide variety of environments and spaces to provide high quality background or foreground music. Driver Details Subwoofer: subwoofer driver - 7.87"
Driver Details (2nd speaker) Satellite speaker: full-range driver - 1.97"
Box Dimensions (LxWxH) 25.2 x 19.8 x 12.7"